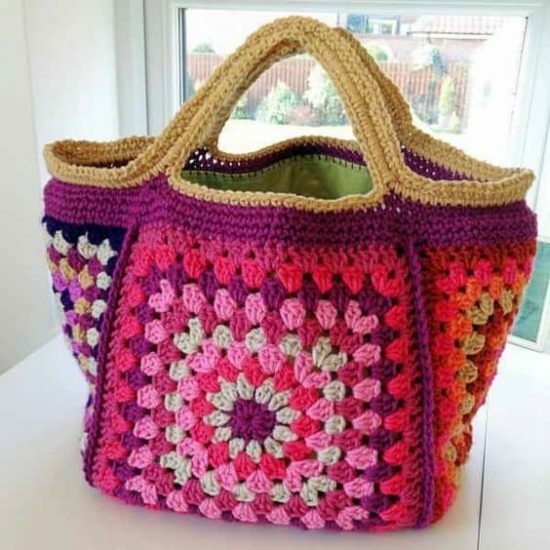 We fell hard when we saw this Crochet Granny Square Flowers Bag and isn’t it beautiful! 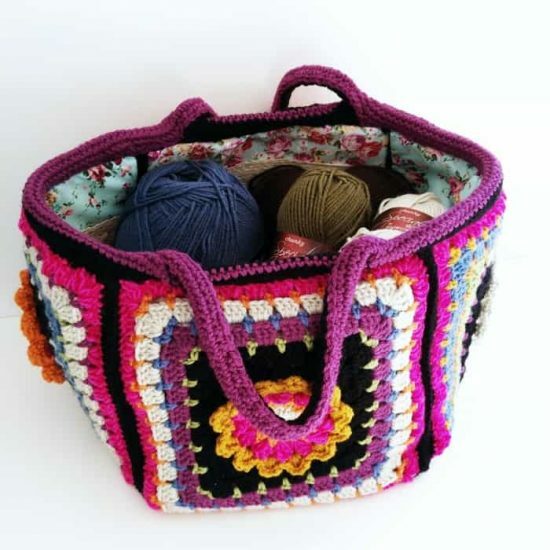 This can hold all your yarn and we love the beautiful Fabric Insert. It has plenty of good old-fashioned appeal. 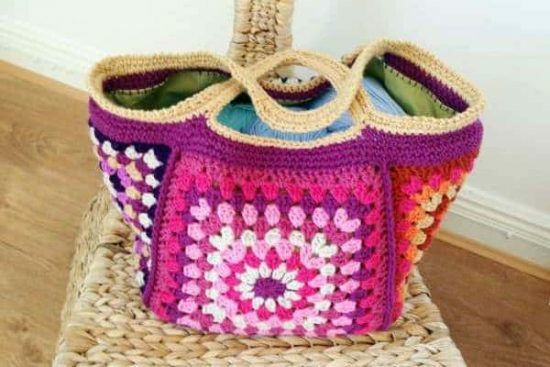 The best part is it’s a wonderful Free Pattern! 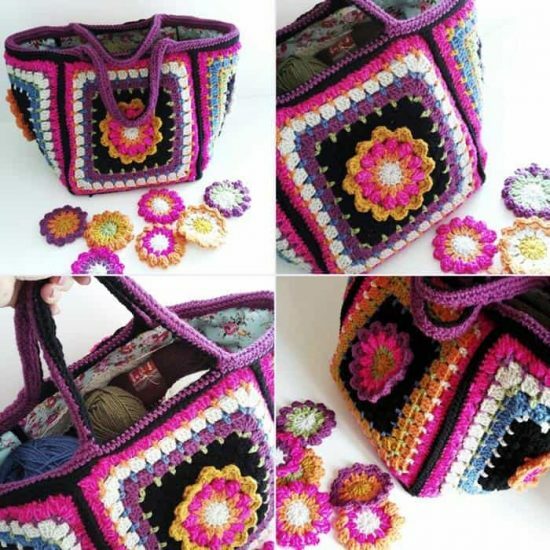 Be sure to scroll our page and check out the Crochet Daisy Granny Square Free Pattern too. 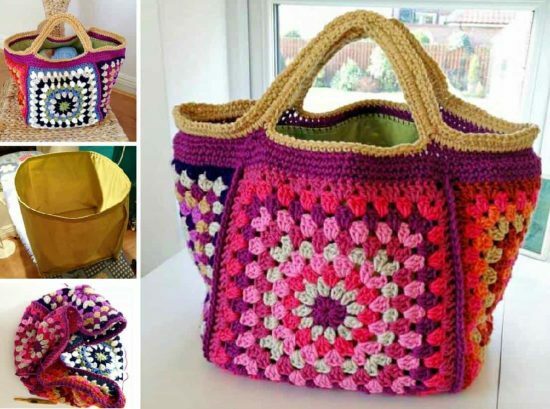 It’s a popular design perfect for Bags and Blankets.